Ten years ago this summer the Missouri Review, where I have been an editor for some years, published a novella by an emerging writer named James A. McLaughlin. The next year, “Bearskin” was chosen for our Peden Prize in fiction. The story, about bear poaching in the wilds of Virginia, stayed with me for a long time afterward: the author used the English language with a beautiful extravagance that approached poetry, and the conflict fell under the broad heading of humanity vs. nature—a conflict type we see far too little of among submission, previously I hadn’t really thought about it. In a recent interview, McLaughlin describes the twenty-year process by which the story that was his MFA thesis for the University of Virginia was abandoned, then picked up, stripped to its bones, and rewritten as a full-length literary thriller. 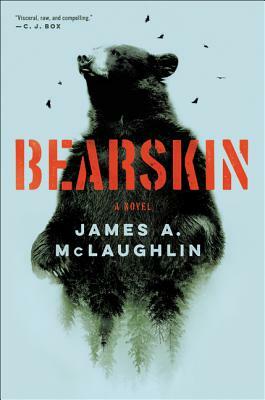 Bearskin was published this June by HarperCollins. The opening chapters of his new novel are a revised version of the novella that appeared in Missouri Review in 2008. Reading the novel wasn’t entirely a déjà vu experience. I remembered the basic story of Rice Moore, a fugitive from past criminal connections who takes a job as caretaker of a family-owned nature preserve in Virginia. I remembered the often reverent evocation of nature. I’d forgotten some of the grittier elements of the small-town Virginia locale; and the drug-smuggling subplot that had been less present in the novella was expanded (scarily and effectively) in the novel, which has a tight and satisfying plot, in contrast to the open-ended excerpt TMR published. Evelyn Somers: You hold a law degree and an MFA as well, and specialize in conservation law, which forms part of the plot of Bearskin. Did that material come first and the drug-cartel plot later, or were they a package from the start? James A. McLaughlin: The original iteration of the novel had more conservation law in it. The “caretaker” was Billy, a member of the family that owned the preserve, and part of the conflict in that story was between Billy and other family members over whether to protect the land with a conservation easement. It was a real page-turner! When I came back to the book and totally rewrote the first few chapters, the internal family conflict went out the window. Rice Moore took over the lead and brought along his smuggling-for-the-cartel backstory. ES: Is the preserve Rice Moore is employed to protect based on your family’s land in Virginia? I guess I’m asking how much the novel might be a tribute to a specific place. JM: It is, but I made everything much bigger and wilder and with a much longer history as a preserve. The story behind my family’s land is interesting but not novel-backstory interesting. So, yes, in part the novel is a tribute to a specific place, but much more than that it’s a tribute to my own emotional response and lifelong connection to that place. Writing from Utah, a couple thousand miles away from the land where I grew up, forced me to work from memory, especially childhood and young adult memory. That old stuff in your head is as much myth as memory, and it’s rich material when you’re writing fiction. ES: There was a novel before the novella version of Bearskin. How much did you revise it to arrive at the novel you published this summer? JM: In the mid to late ’90s I wrote a whole by-god-finished novel that was my thesis for my MFA. I’ve called it “Bearskin 1.0.” I set it aside for years while I worked on other things, then came back to it at the suggestion of a friend circa 2007. After TMR published the novella in 2008, I finally started serious work on extending it into a novel in 2010. I kept the setting, and the bears and the bear poaching, and some of the local characters. I adapted two or three of the set pieces too, like Rice and Sara’s adventure down the gorge, and the arrival of the hurricane remnant at the end. Other than that it was a total rewrite, with a completely different protagonist, as I mentioned above. The 1.0 version was (supposed to be) fairly comic, as I recall. I haven’t looked at it in a long, long time. ES: Bearskin is a literary thriller—literary in the powerfully poetic prose and the complex themes. But every time I started to think it was more literary than thriller, I’d be surprised by a plot turn or stunned by one of the more brutal scenes. How did you define it as you were writing it? JM: Thank you, and that’s a great question . . . I always intended to write something “literary,” at least by my lights. Certainly not urban East/West Coast literary—I wouldn’t know the first thing about that—but maybe Jim Harrison literary, or Thomas McGuane, Rick Bass, those guys were and are heroes to me. But I knew I was not getting it done. There’s the book or story I imagine, and there’s the thing I write, and of course they’re never the same. 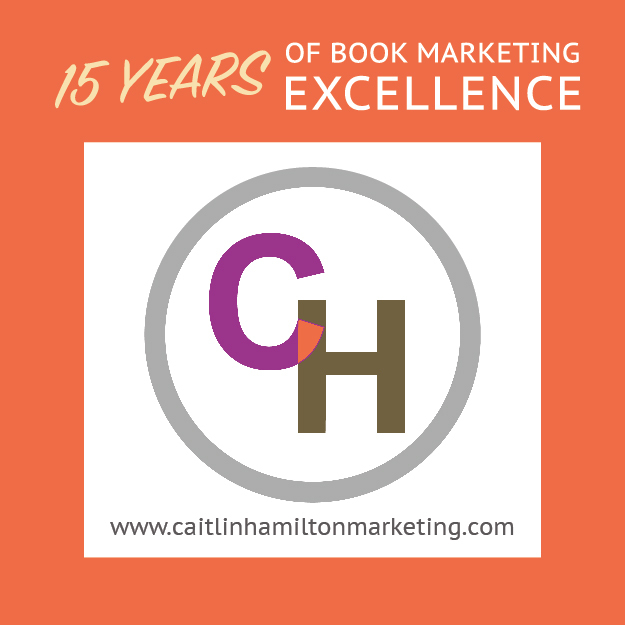 So when I was working on the rewrite I found myself wanting to throw in more extreme scenes and twists and plot lines that seemed decidedly thriller-ish, or out of some other genre—suspense, mystery—and I let myself roll with it. And at first there was this impulse to undercut those elements with irony to show, I don’t know, that I was too smart and high-minded to mean it, but I didn’t do that, and it became fascinating to try and write the scenes and twists well, to go all in. It started with Rice’s backstory and took off from there. One thing I discovered pretty quickly was that it’s very, very difficult to do. I wasn’t always up to it. The so-called genre writers who are really good at this . . . now I read their work with wonder and admiration. ES: One interesting feature of the novel is that it deals, though not always explicitly, with some very current conflicts and political issues. Were these late additions, or had the book always had this dimension? JM: That stuff—class, race, rural/urban, violence against women, the complicated issues at the U.S.-Mexico border, etc.—it was all in there either from the start or very early in the rewrite. Those issues just kind of appeared; they bubbled up from the characters and what was going on in their lives, and while I worked to give these elements their due, their particular topicality was unintentional. They’re ancient issues. It’s not like I was prescient, but their most recent prevalence in politics and the media sprang up after the book was substantially finished. ES: What writers or books does the novel pay homage to? JM: That’s different from the usual question about influences—there are so many because Bearskin evolved over such a long period of time, and my influences added up. But homage . . . I kind of tried to bury this, but since you asked, and at the risk of biting off way more than my little book can chew, I’d have to say the work of Paul Shepard. If I have a subject, it’s “man vs. nature” and all of the unintentional irony and faulty premises inherent in that phrase. I wrote under the influence of others more or less related to Shepard: Barry Lopez, Morris Berman, Neil Evernden, Jack Turner, Loren Eiseley. But for me Shepard is primary. Among other things, he was among the first to study humans from an ecological perspective, and reading and re-reading Shepard over the past twenty years has rewired my brain. Though that might be the wrong way to say it, as so much of his thinking has been startlingly familiar, resonating with my own formless tendencies. His ideas aren’t easy or comfortable, and his work can be abstruse—usually he gives my intellect (and my dictionary) a thumping workout. Beginning in 1967 with the publication of Man in the Landscape, he presented compelling, brilliantly articulated analyses of Homo sapiens’s checkered history and catastrophic present on the planet that the rest of us still haven’t caught up with. I’d like to think he would enjoy my book, but that’s a real stretch. ES: Through Rice’s attempt to find and stop the bear poaching on the preserve, the book explores the artificial distinction between human and animal. For a while, Rice literally lives like an animal, going feral for days on the preserve. Was writing those scenes entirely imagination? Have you come anywhere close to what Rice experiences? JM: Rice’s experiences are extreme and they’re brought on by obsession, exigency, near-starvation, sleep deprivation, and the effects of being alone for a long time in a wild place. I haven’t faced what he faces and I’ve never gone over as far as he goes. But I had two ways to get at that experience in a way that felt real to me. The first relates back to the idea I mention above of mining mythical childhood experience—I spent a lot of time outdoors as a kid, sometimes with friends or mentors, but often I was alone in the woods: hunting, fishing, exploring. As I remember it, I was feral, unselfconscious, my mind fully overtaken by the infinitely distracting, complex world around me. That’s a pretty good junior model for what I imagined Rice going through. And second—I don’t know if this is meditation or fantasy or something requiring diagnosis—but in a wild or even not-so-wild place it’s not hard for me to sit by myself and intentionally start to shed the mental structures and stories we use to make sense of, to simplify the world, render it manageable. When I do that the sensory input can pretty quickly become phantasmagoric. The safe, rationalized distance from present experience dissolves. There’s a frightening sense of responsibility. It gets spooky. Hyperventilation seems imminent. Then a horsefly lands on my bald head and drills into my scalp and the reverie is over. So that’s pretty facile but it’s something from which I could extrapolate to write about Rice’s self-loss in the forest when he’s hunting the poachers. ES: It’s a feat to go from the kind of gritty, convincing portrayals of the local population to the hallucinatory passages where Rice puts on the camouflage ghillie suit and becomes virtually animal himself. What did you learn about your propensities as a writer by trying to span this range of effects? JM: I learned I tend to over-write, at least for my taste, which makes it tough because spanning that range requires a lot of restraint. The whole book is in closely limited third person, and I felt the narrative voice should stay within shouting distance of the protagonist’s state of mind at any given moment. So if I want to span the range you mention, Rice Moore has to believably span a lot of that range himself. But he’s a very restrained guy. Ideally I try to relax and let myself go ahead and overdo it in the early drafts, get a lot of crazy stuff on the page. Revision then entails merciless disposal of everything from too-creative phonetic spellings of local dialect to laughably overwrought descriptions of Rice’s hallucinations. I cut and over-write, cut and over-rewrite. This involves constant failure and I spend most of my writing time suffering the powerful conviction that I’m an irredeemably terrible writer. But after enough time, hopefully what’s left is strong on both ends of the spectrum but also believable and within the register of the voice. ES: Will the next book be as dark as Bearskin? JM: I hope it’ll be a little bit funnier. The three main characters have all been cracking me up recently. But who knows? My take on Life, the Universe, and Everything probably seems pretty dark to normal people. What I think is plain long funny might come across as black humor. Evelyn Somers is associate editor of the Missouri Review, where she edits fiction and nonfiction and advocates for emerging writers. Her stories, essays, and interviews have appeared in Crazyhorse, Shenandoah, Georgia Review, Southwest Review, the Millions, the Collagist, Florida Review, Copper Nickel, and Bloom, among others. Her novel-in-stories in progress, The Band Leader of Covington, is about music, magic, and the divine in a small town of eccentrics.. Tags: Barnes & Noble Discover Great New Writers, Bearskin, Ecco Books, Evelyn Somers, James A. McLaughlin, The Missouri Review, William Peden Prize. Bookmark the permalink.